Online Interactive 3D Content, the Next Frontier of the New Web? The newest and most commonly used form of marketing today is what we call online marketing or digital marketing. It was born in the early 90’s when the Internet (something that today we consider to be a utility), was in its infancy and access was limited to a very small percentage of the population. Digital marketing initially started as a way for website owners to gain additional revenues to support their content. In the 21st century it became a huge marketplace where new providers and devices have landed to increase competitiveness in this fast growing market. In the online world 3D content helps reduce the gap between the virtual and the real, enabling a user to virtually touch the product he or she wants to buy making the experience more real. Search Engine Optimization (SEO) is another method of online marketing that attempts to improve a website’s organic search rankings in result pages by increasing the relevance of website content to search terms. But search engines regularly update their algorithms to penalize poor quality sites that try to game their rankings, making optimization a moving target for advertisers. Born from that process, the phrase “content is king” has become a maxim for advertisers highlighting the fact that without original and desirable content, any online campaign is most likely to fail due to poor content quality that neither matches the user’s expectations or interests. Today, “content is king” is not just an SEO maxim, it applies to any form of online marketing where content can mean any type of creative work including text, graphics, images, or video. 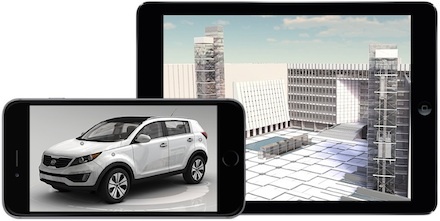 Interactive 3D content, a new entry into the pantheon of marketing tools available, has been demonstrated to be five times more engaging than traditional web and multimedia content such as images and videos. Making this type of content accessible to all Internet users would empower marketers to produce original and appealing new types of content for their campaigns. These new forms of media would allow them to attract new users, increase general web metrics, and accomplish their objectives. HTML5 is a technology standard that has been adopted by all browser makers enabling Internet users to access interactive 3D content directly from their browser. Marketers now have a powerful new tool on their hands that can be a game changer for their business, but are they aware of its power? There are some pioneer marketers out there, early adopters of new technology, who are willing to try them out to get better results from their work. 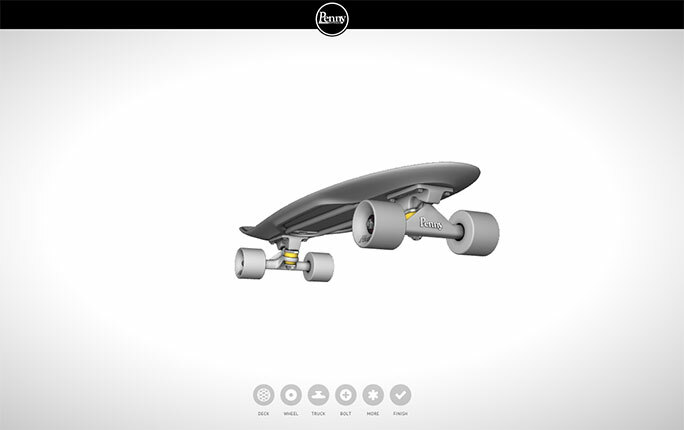 Skaters looking to buy a personalized skateboard can do it through an interactive 3D skateboard configurator that Penny Skateboards has made available on their website to augment and improve the shopping experience of its customers. Or if you work for a packaging company and you’re looking for new industrial solutions for your business, you can experience a virtual tour of the product line for packaging of Yaskawa Motoman at their packaging solutions page. Imagine now that you want to buy an iPhone and instead of scrolling down the long description page, you find a 3D model of the smartphone that you can rotate and view from any angle. Clicking on specific interactive points allows you select features and characteristics that interest only you, grab a custom color cover, and with the click of a button your new phone is on its way. Wouldn’t that create an impressive user experience? Last year’s $2 billion acquisition of Oculus Rift by Facebook left many of us waiting to see what was next for the VR headset maker. In May 2015, Oculus announced that they will be shipping the Oculus VR to consumers in Q1 2016–meaning that true Virtual Reality is coming to the masses. What does that mean for internet users? 3D content available on the web and on mobile devices will also be available in the future on VR glasses, creating an even more realistic experience for Internet users. VR promises to make everything on the web more real, and if the user of today needs to touch a product before purchasing, imagine what they will need while sitting on their sofa immersed in a 3D environment? Yes, the future of the web is already here and it’s in 3D. Luca Vidotto is an Online Marketing Manager at CL3VER, an online cloud-based authoring and publishing platform for creating interactive 3D content on the web.